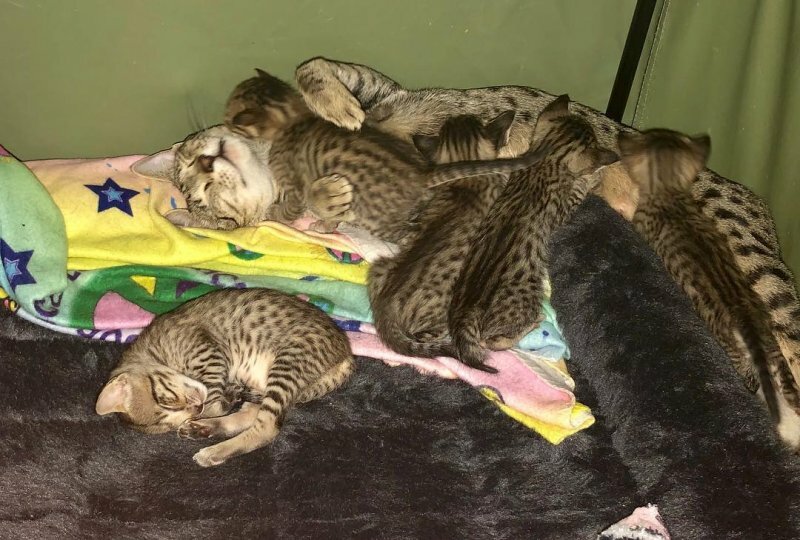 We are a small savannah cat breeder in northern NJ, where our savannah cats and savannah kittens are raised. We pride ourselves on maintaining a healthy, happy and stress-free environment for all our fur babies. They are our pets first and foremost - part of our family - their health and well-being comes first. 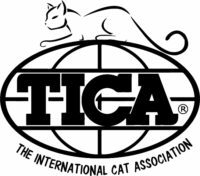 We are a TICA registered cattery and pride ourselves on raising savannah cats as close to the standard as possible. We screen for HCM. 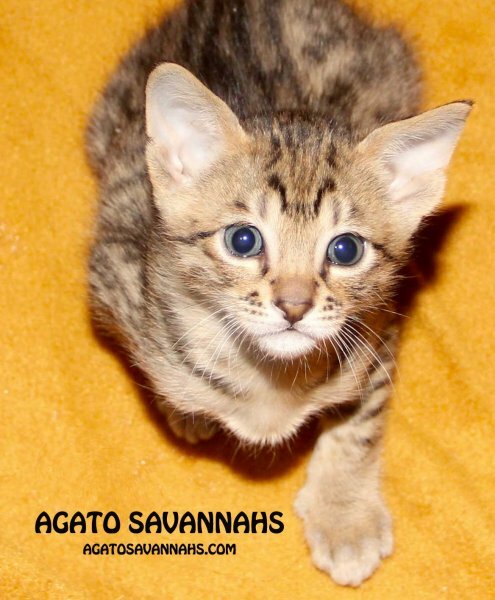 Our Savannah kittens are raised with the utmost care and concern for health, temperament, type and socialization. 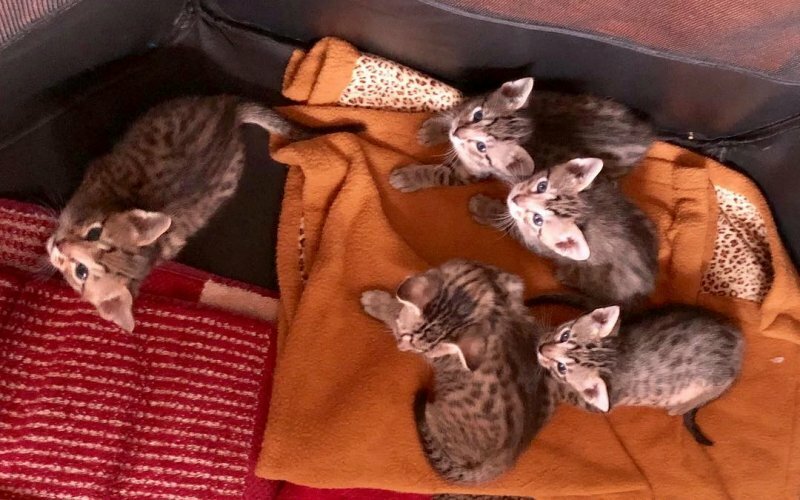 They are raised underfoot and are members of our family! 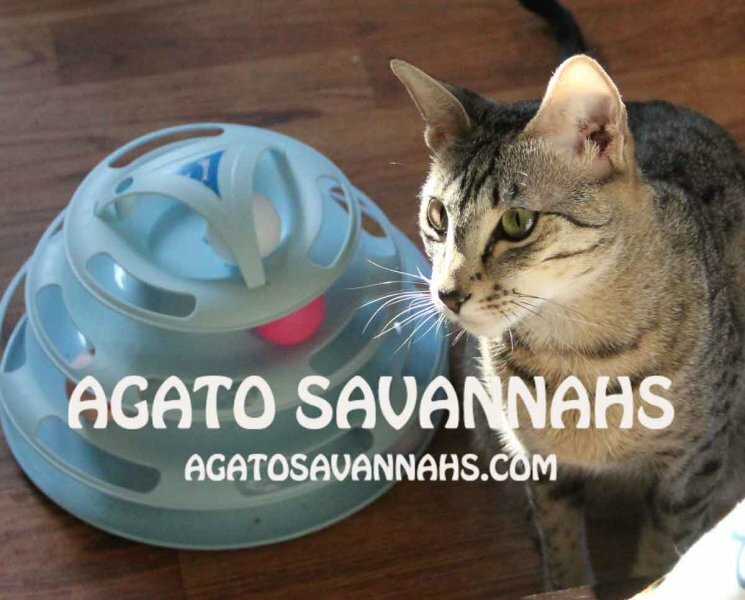 Our savannah cats are our pets first and our breeding cats stay here forever! 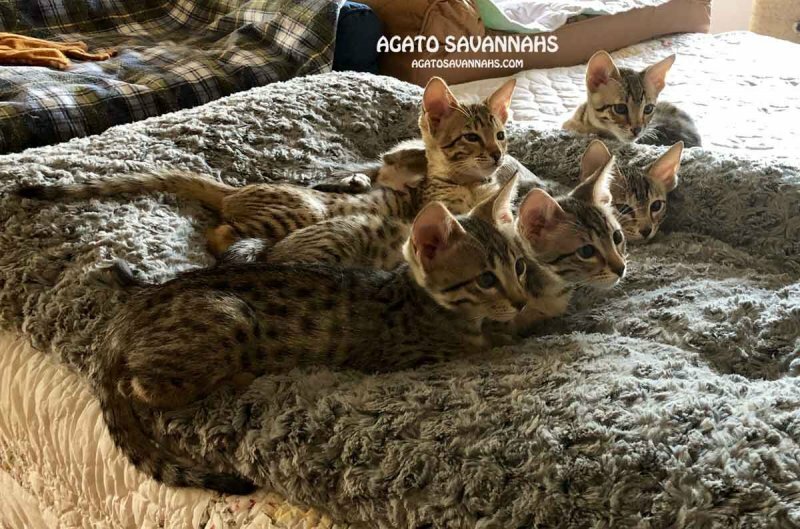 Savannah cats and Savannah kittens from Agato Savannahs will come to your home from our home, where they have free run of the house and are never caged. 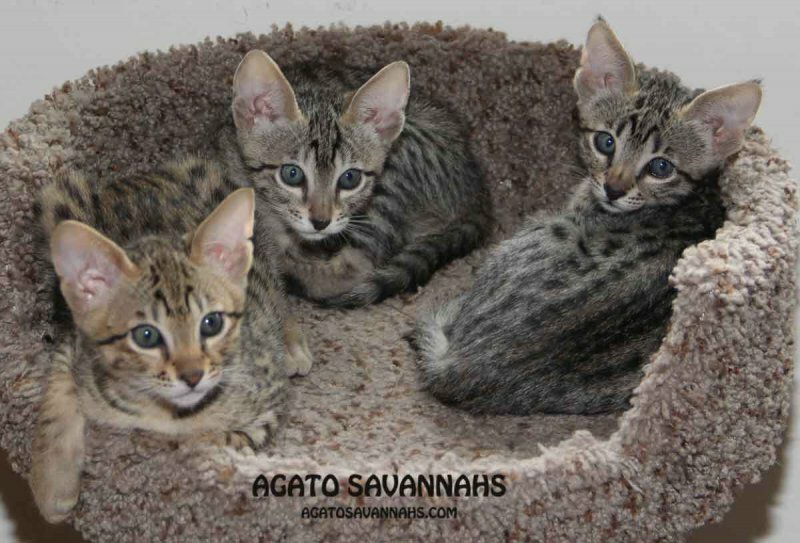 Savannah Cats are inquisitive, energetic, very playful, devoted companions. 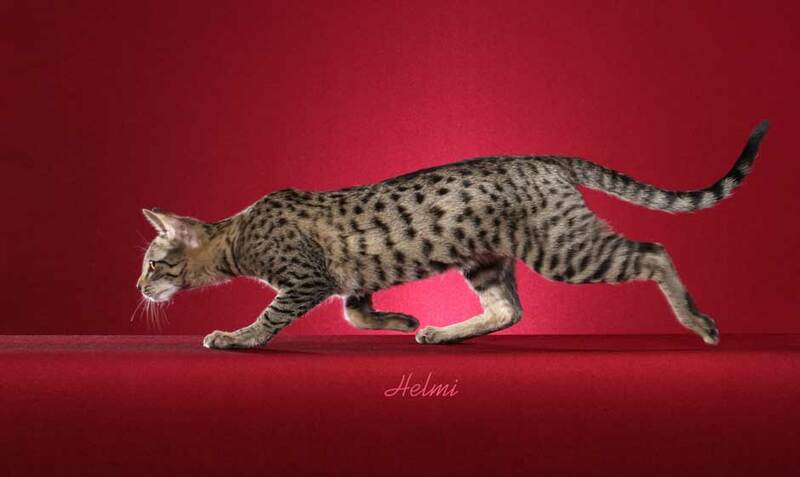 Be prepared to be endlessly entertained with their antics and enthralled with their beauty and intelligence. 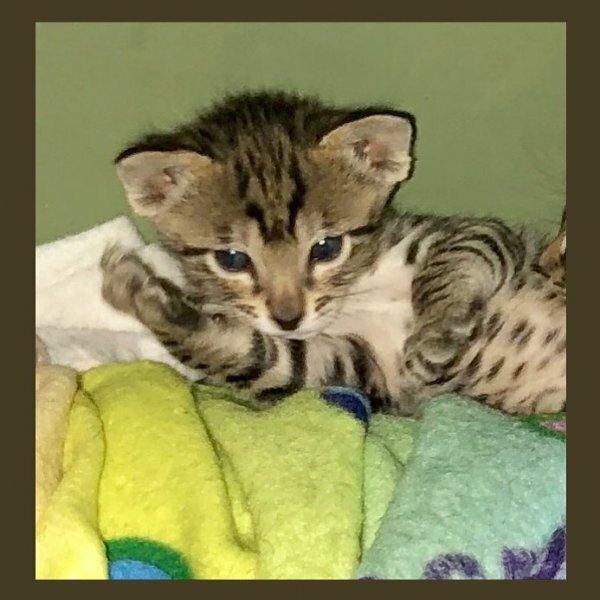 We have a gorgeous litter of F6 SBT kittens born 11/14/18 - three boys and two girls! 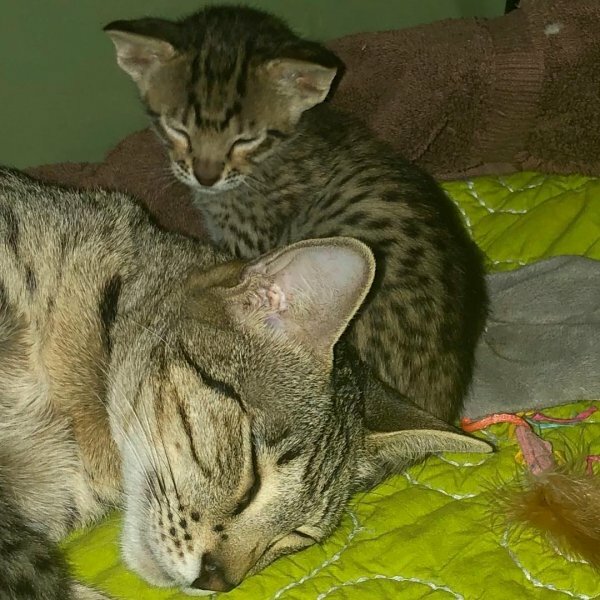 Pictures of the kittens from a day old to 4 weeks old above!